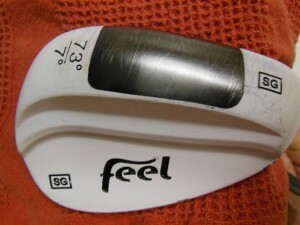 Some wedges can get pretty lofty as shown by the 73° Lob Wedge produced by Feel Golf. Should you use one like that? If you ever have witnessed the magic of Phil Mickelson playing a flop shot, you no doubt have dreamed about playing the super lofted wedges. You may even own one. I do and even have a 73° lob wedge made by Feel Golf as shown above. There are a host of wedges offered ranging from 60º to 68º. The question becomes how much loft do you really need and what is the highest lofted wedge you should you put into your bag? The answer really depends first on your skill, but also on how frequently you practice. If you are a casual golfer, a standard 56º or maybe even a 58º wedge is probably the best bet. Hitting a flop shot with a slow patient, gently accelerating balanced swing is actually one of the most advanced, trickiest plays in the game. If you can play it with confidence, a higher lofted wedge can be a tremendous stroke-saver, particularly on a golf course with pushed-up or elevated greens. On the flip side, you can also either go right underneath the ball or conversely blade it far into disaster. The point is that hitting the so-called flop shot requires not only talent with good hand-eye coordination, but also practice. If you aren’t able to practice this shot regularly, keeping one or more of these extra-lofted wedges could be taking up valuable space in your bag. I once observed the late Hall of Famer Paul Runyan put on a short-game clinic for the Northern California PGA at Silverado Country Club. Runyan was perhaps the greatest the short game has ever known. He showed how he could manipulate the standard 56º wedge to create any lofted shot he desired and said the lob wedge was “a waste – totally unnecessary.” LPGA Tour player Janet Coles was another. In her 17-year career, she won a couple of times and had a remarkable history of making cuts all without the lob wedge. She like Runyeon would also manipulate the standard sand wedge to create a variety of results. Actually, these higher lofted lob wedges make life easier for those who don’t have Runyan’s or Coles’ skills and creativity, but they are not for everyone. I have found that a 60º wedge opened up will allow me to hit most any shot. Do I carry that 73º wedge? No. I’ve practiced a bit with it and if I ever regularly played a course that really required it – one with small, elevated greens, I might consider it. I travel and play different courses and I want more versatility. 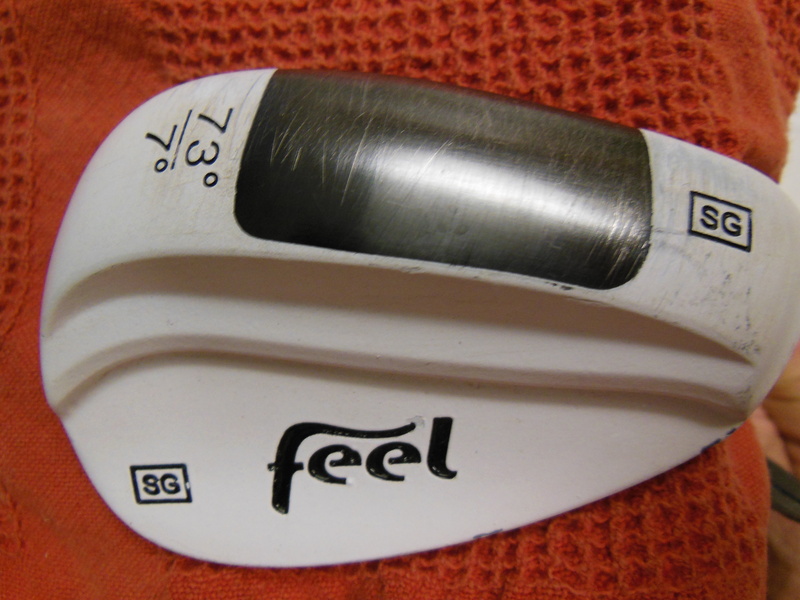 When I keep my game in tune, the 60º version is fine and when not, I will play the standard 56º wedge. You should too.